The foreclosure crisis and ensuing zombie home invasion in New York has improved markedly in the last few years thanks to the passing of both time and policies. Foreclosure filings across the state are down 46 percent since 2013, according to a report  from the state comptroller. Similarly, the number of pending foreclosure cases in the state is down by half since 2014. After experiencing heightened foreclosures, a court backlog, and an onslaught of zombie properties—where the home becomes vacant before foreclosure is complete—New York responded with an ambush of new policies aimed at helping homeowners avoid foreclosure, helping courts process foreclosures, and helping return zombie properties to the land of the living. 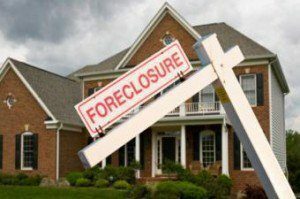 The state has enacted several changes to the foreclosure process in the courts. For example, it created the Vacant and Abandoned Property sector of the court to speed up judicial review when dealing with these properties. The foreclosure process has also been further standardized to ensure consistency and easier tracking. Another court-related change has to do with the transfer of deeds and titles in cases of divorce to help homeowners avoid foreclosure during or after divorce. Other changes New York made have to do with borrower communication, “primarily in the form of better and more consistent communication about the foreclosure process and homeowners’ rights and responsibilities,” according to the report. Also, in addition to working to expedite foreclosures in the case of vacant properties, New York has worked to eradicate zombie properties through the use of land banks, which are nonprofits that acquire zombie homes and work to “return them to productive use.” As of 2017, land banks had “acquired nearly 2,000 problem properties and returned $28.4 million in assessed value to the tax rolls,” according to the report. The state is set to add 10 more land banks. The state also created the New York State Community Restoration fund to purchase distressed mortgages in areas with high foreclosure rates with intent to either provide loan modification for borrowers or repair and sell the homes to new owners. With the help of these policies, the New York housing market has experienced improvement with the foreclosure rate falling in every part of the state over the past few years. In mid-2014, 18 counties in the state had foreclosure rates above 1 percent and four had a rate above 2 percent. As of mid-2018, only four counties had foreclosure rates above 1 percent, and 38 counties had rates below 0.50 percent, according to DiNapoli’s report. While acknowledging the significant improvements, DiNapoli sees potential threats on the horizon. “Housing advocates have warned that proposed cuts in State funding for homeowner protection programs could—if implemented—also undermine or even reverse the progress made,” DiNapoli said in his report.